The dusty roads of West Africa make my eyes hurts, and the dust enters my lungs causing me to be short of breath. I really want a pair of "Tactical Wind Guard Sunglasses," for here in Natitingou, Benin to stop the road dust from annoying my eyes. 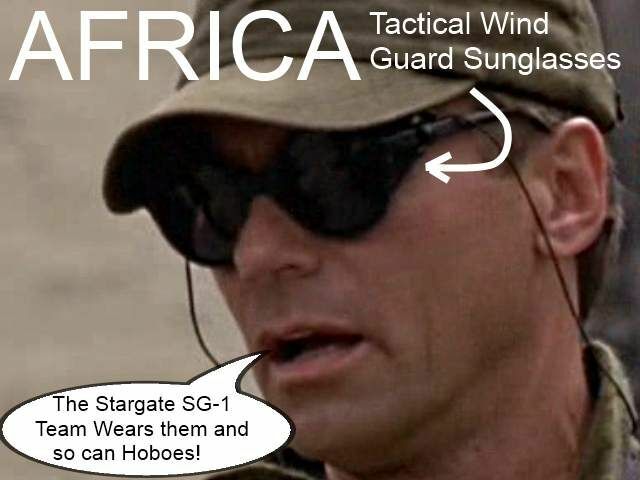 I would willingly buy tactical wind guard sunglasses, and would admit, I have no idea why they use the word "tactical." Personally, I would call them desert wind sunglasses. Nonetheless, there are places on the planet where these goggle like type of sunglasses come in handy, and Natingou, Benin is one of them. The dusty roads of West Africa have made me aware, come here in rainy season, and avoid the dry sub Sahara winds. This is not the desert, but road dust is rampant. I am trying to DIY - Do It Yourself, but so far, not much success. I think in Africa, where there is really a desert, not possible.